In Taika Waititi's Thor: Ragnarok, there's a moment when Hela runs her fingers through her helmed mane, creating luscious tendrils of might and power - inspiring nearly every cosplayer in the world to wonder, "Holy crap, how am I going to create that?" 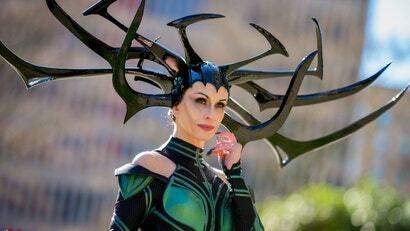 Now, one cosplayer has achieved the impossible, and is free to roam Asgard in her wicked handmade crown. 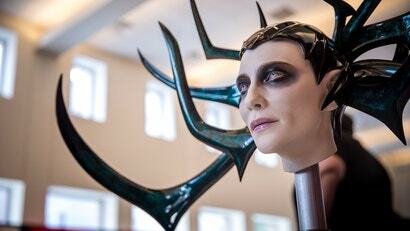 Hela's headdress from Thor: Ragnarok is the best thing to happen in film in 2017. It should win an Oscar. That headdress should be inducted into the Screenwriter's Guild. It's the queer icon of a queer icon.